Jewelry designers, throughout the years, have presented collections created with geodes. The word geode literally means "earthlike." By definition, a geode is simply a rock containing a cavity whose inner surface is lined with crystals known as druses also called "druzy." Most geodes in the United States are found in the Western desert regions of Southern California, Nevada, Utah and Arizona. "Druzy" by definition is the type of crystalline coating found inside rock cavities known as geodes. The druzy crystals found in geode rocks grows toward the center of the rock cavity. Every geode is unique in composition and the inner beauty of what lies beneath can only be seen when geode is sliced open. The most prizes geodes will contain rare Amethysts. Quartz is the most common type of druzy. Over the last few seasons, we have seen an increase in the demand and popularity of druzy and agate jewelry pieces. 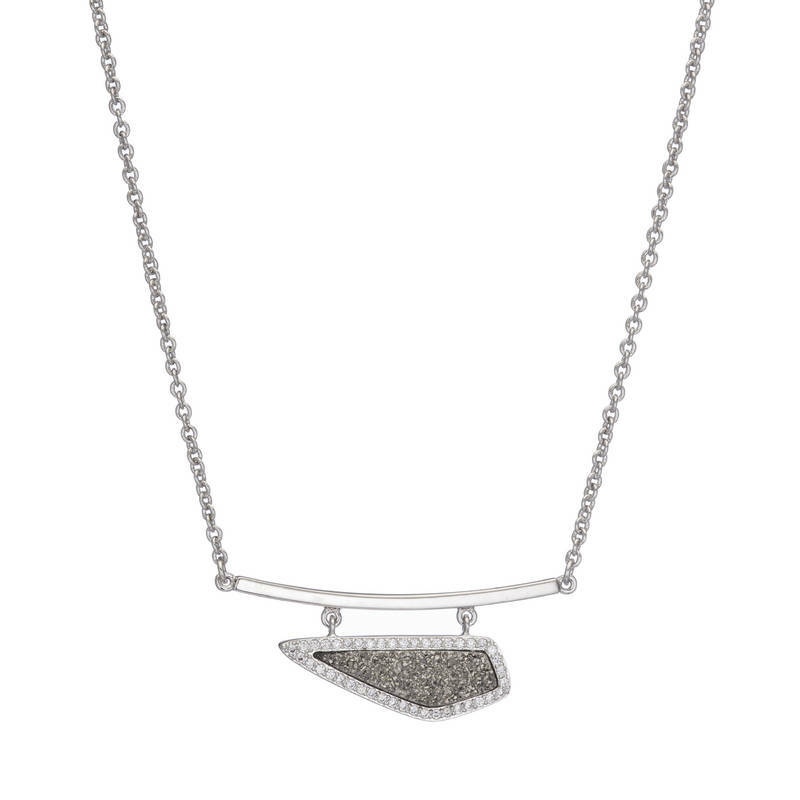 Many jewelry designers now use druzy quartz in their designs due to the fact that it gives a fine jewelry feel to their pieces but at a lower cost than gemstones. Druzy has an amazing sparkle to it and catches the light in a way that creates a glittering and dazzling effect, like that of a diamond. 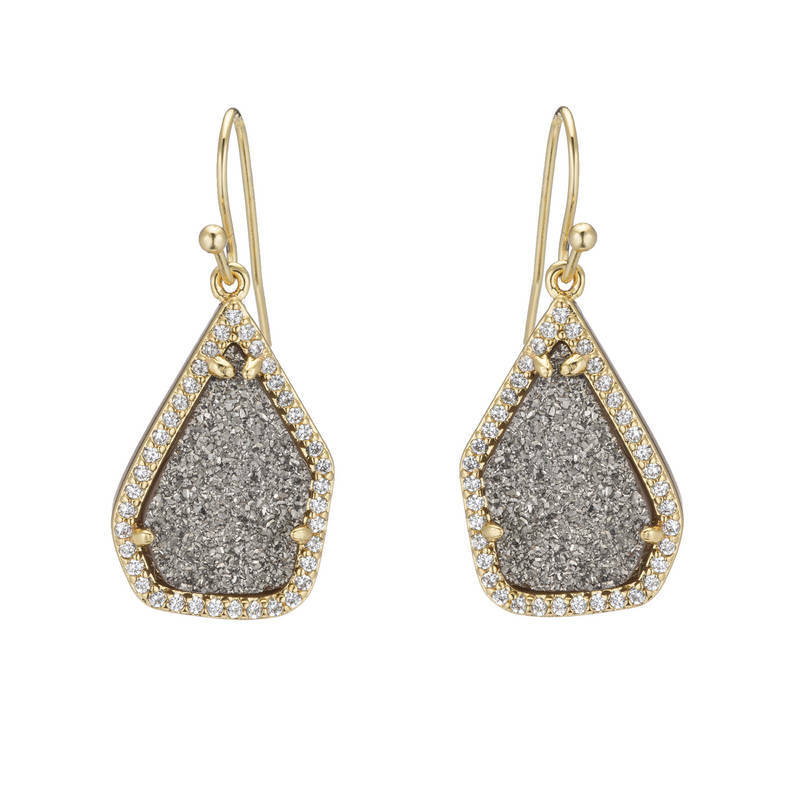 Druzy has been seen on a variety of jewelry pieces ranging from earrings, bracelets, to necklaces and rings. Druzy can be color treated and comes in a variety or dazzling colors from black, titanium, natural, pink, purple, blue and many more. Geode druzy and Agate jewelry has been featured on red carpets and fashion runways all season long. This season HAUTEheadquarters will feature a large selection of stunning HAUTE new druzy pieces by featured designer Marcia Moran. 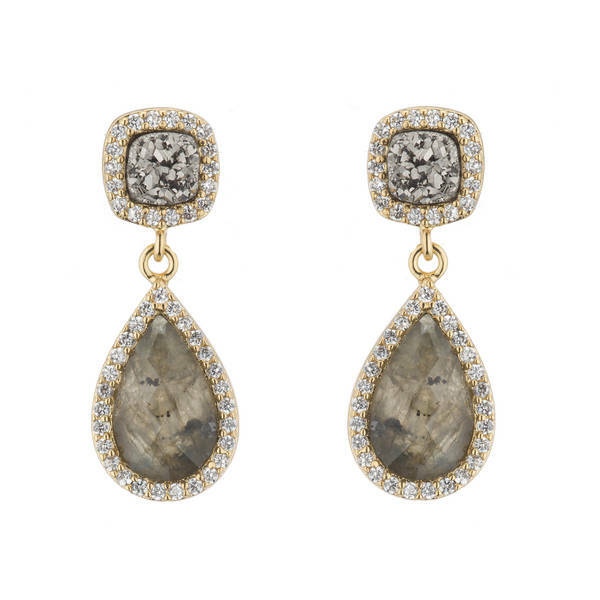 Her latest druzy collection includes stunning statement earrings as well as dynamic bangle bracelets and necklaces. We also love that many pieces seen this season combine druzy with other stones such as cat's eye, mother of pearl and labradorite. Also this Fall, famed designer Ben-Amun is showcasing a stunning design selection made of Agate geode stones. His carefully crafted collar necklaces are out-of-this-world chic. His mastery of high fashion mixed with earthly agate is divine. The best part about druzy and agate jewelry is that you can look like a million dollars without breaking the bank!